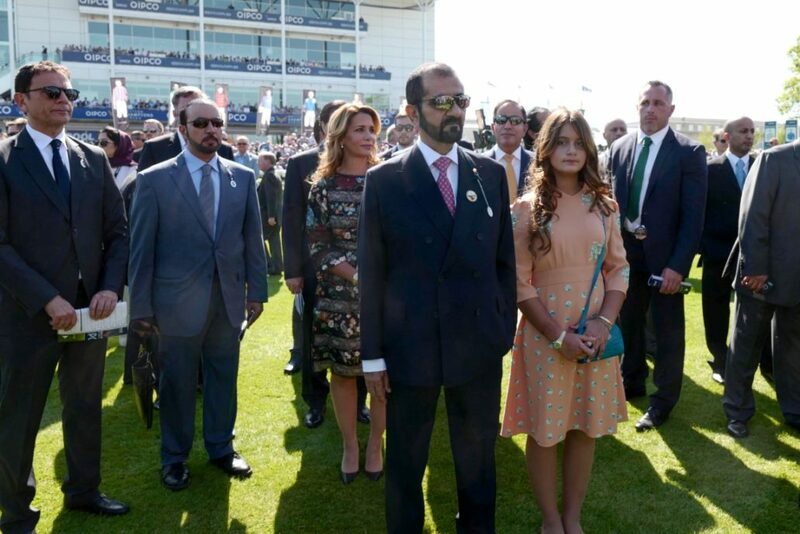 (London) – His Highness Sheikh Mohammed bin Rashid Al Maktoum, the Vice President, Prime Minister and Ruler of Dubai,watched the 2000 Guineas Stakes, the first Classic race of the British racing season, at Newmarket’s Rowley Mile course. The race was also attended by H.H. Sheikh Hamdan bin Mohammed bin Rashid Al Maktoum, Crown Prince of Dubai,H.H. Sheikh Hamdan bin Rashid Al Maktoum, Deputy Ruler of Dubai and UAE Minister of Finance, and Her Royal Highness Princess Haya bint Al Hussein, wife of Vice President and Prime Minister of the UAE and Ruler of Dubai HH Sheikh Mohammed bin Rashid Al Maktoum. UAE riders dominated the racing scene, winning most races. Oasis Charm, owned by Godolphin, won the opening 1800 metre race (Spring Lodge Stakes). Defoe, owned by Mohammed bin Obeid Al Maktoum, won the 2400 metre Dunaden Jockey Club Stakes. Godolphin’s Tribal Quest dominated the 1200 metre Hot Streak Handicap (Class 2). Key Victory, owned by Godolphin,scooped the 2000 metre Havana Gold Newmarket Stakes. Godolphin’s Symbolization made victory in the last 1600 metre race.